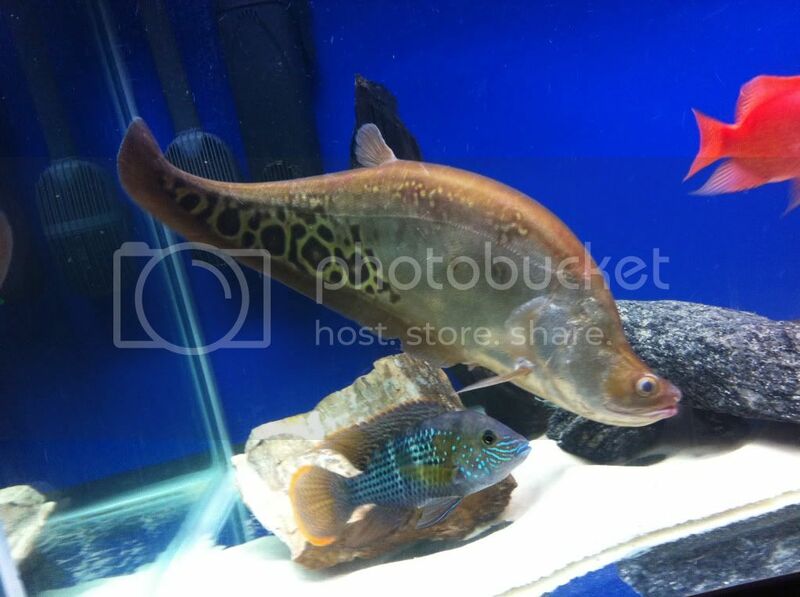 Aquarium Forum > General Freshwater Aquarium Topics > Freshwater Predators > Help me identify Indian Knife fish. I got this knife donated to me. It's gorgeous, approx 16-17". What kind is it? I've never seen one this color. Re: Help me identify Indian Knife fish. 1^.Very interesting pattern though,as most just have individual spots.